can be configured as either 2-in-1 with connections to Ethernet and analog phones, or 3-in-1 with connections to Ethernet, analog phones and CO lines. 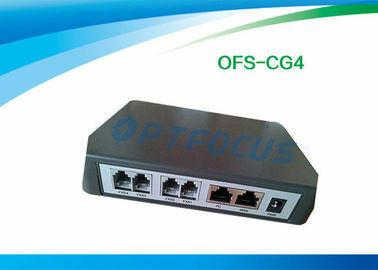 OPTFOCUS famous MX gateway design, delivering stable performance, high interoperability and compatibility, and rich features. OFS- CG4 series is a cost effective entry level VoIP device with the capability and quality seen in expensive VoIP equipments.